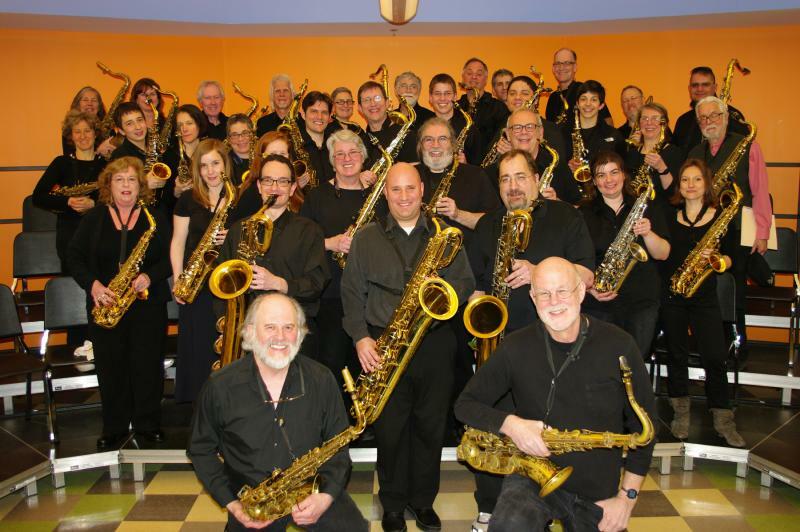 The John Payne Music Center Saxophone Choir (1980-2012), under the direction of Duncan Martin, brought students of all skill levels together to experience the joys of collaborative music making. Tell someone that Joe Blow plays guitar or piano, or whatever, and often the first response is “Is he any good?” This is the tyranny of competence at work. Could “Is he having fun with it?” be a more appropriate first response? Playing music can become too much about how good we are (or more accurately, how good we arenʼt), not how enjoyable it is. Of course, becoming a better musician is an extremely legitimate and laudable goal to work towards. But in the end, is it not the increased aesthetic pleasure for the player and listener that makes becoming a better musician worthwhile? The problem is that becoming good enough can become THE reason one is playing music. Then if you donʼt think you are progressing fast enough, practicing becomes just another one of lifeʼs unsatisfying chores or even another reason to beat yourself up. This is unfortunate and not at all necessary. There is no final “there,” just a series of “hereʼs” and musical enjoyment is possible at every one of them.